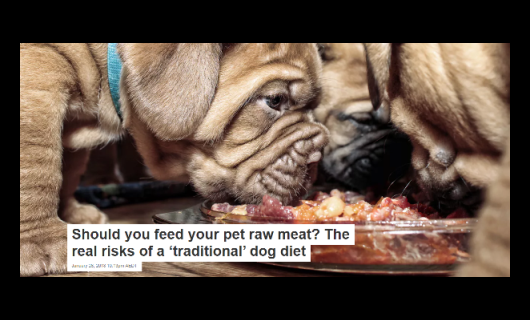 IDReC research on campylobacter was featured in an article on the risks of raw meat as pet food in The Conversation, an independent, not-for-profit media outlet that uses content sourced from the academic and research community. As well as Campylobacter, the story highlighted contamination of raw pet food by E. coli Listeria monocytogenes and Salmonella spp. and offered guidelines for minimising the risks. While dogs themselves are often resistant to these pathogens, they may spread them through their faeces, which can lead to illness in humans.